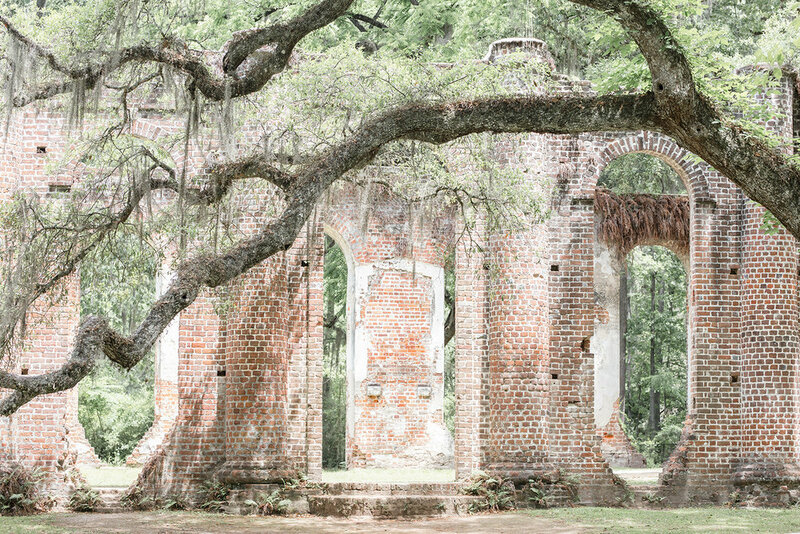 Photographer Crystal Schroppe and her vendor team headed into the lush Lowcountry forest to shoot this bridal portrait session at the Old Sheldon Church Ruins in Yemassee, South Carolina. 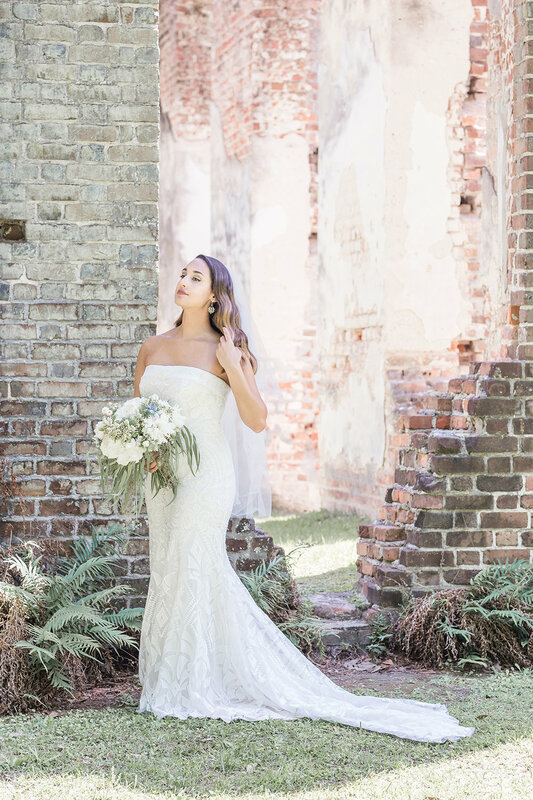 “I have wanted to photograph the Old Sheldon Church Ruins for a very long time so I was absolutely thrilled to have the opportunity to shoot this bridal portrait session there!” Crystal said. 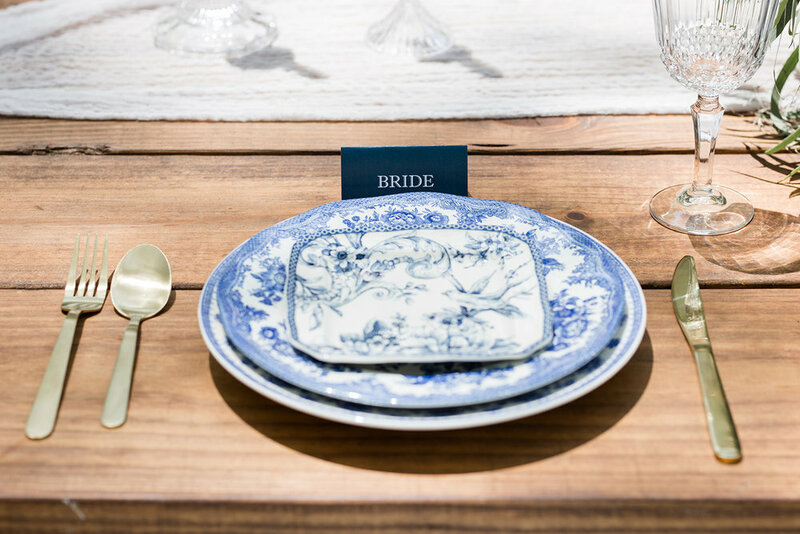 For Natasha’s session, the creative team behind the lens decided to incorporate styled shoot elements such as a cake and decorated table into the bridal session for the final show stopping photographs. 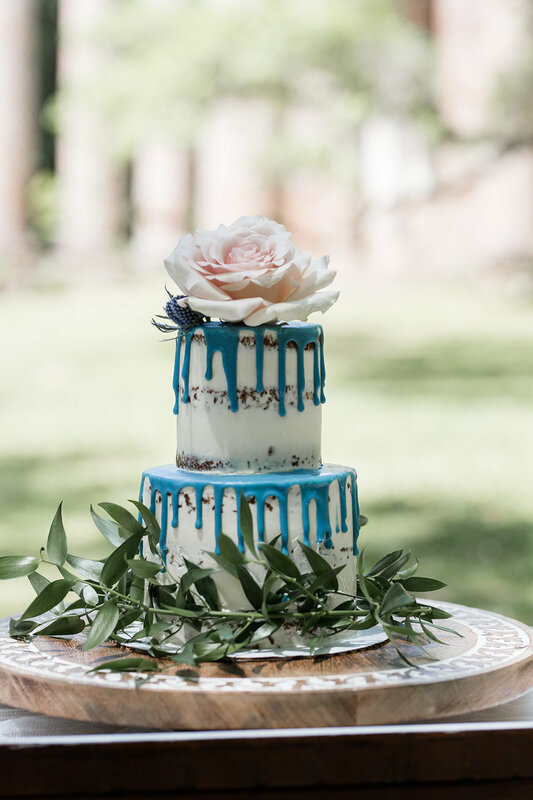 Natasha’s delicate lace gown contrasted beautifully against the aging, rustic brick of the church ruins, and pops of blue and light pink added a bit of color in the largely neutral palette. 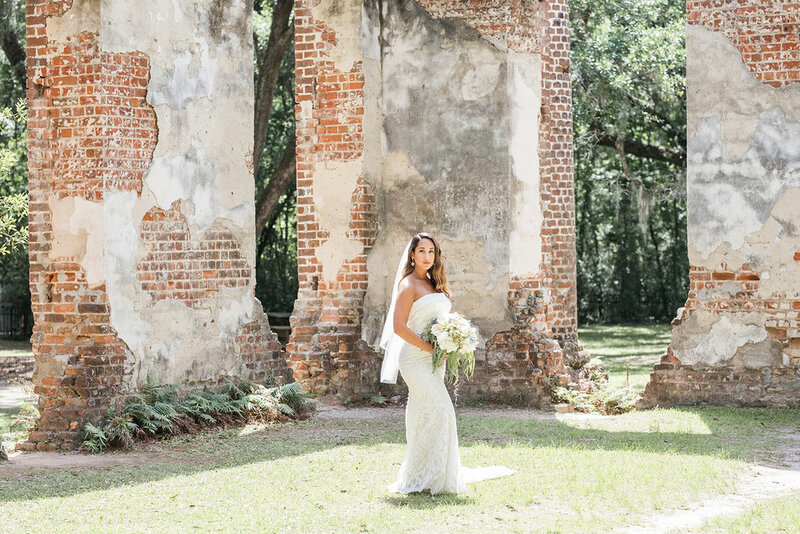 While the Old Sheldon Church ruins host only a select few weddings each year, the property is open to bridal sessions and styled shoots if you’d like to recreate Natasha’s photos!